Workers’ Compensation Defense Blog > Blog > Where are Oregon and Washington in the discussion of telemedicine and the Interstate Medical Licensure Compact? Where are Oregon and Washington in the discussion of telemedicine and the Interstate Medical Licensure Compact? Broadband service expansion and consumer familiarity with cell phones, tablets and other electronic devices increasingly encourage physicians to practice medicine through wireless communication. Telemedicine – the exchange of medical information between a physician and patient via electronic communication – is not simply a futuristic concept. It is no longer relegated to the science fiction of The Jetsons cartoon or a “fascinating” concept of Star Trek. 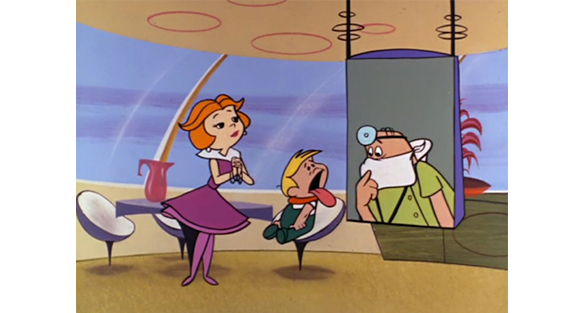 Telemedicine is upon us; the states of Washington and Oregon should be leading the dialog. Instead, the Pacific Northwest, sacred ground for computer software, chip fabrication and cellular and wireless technologies, appears catatonic and aphasic. Telemedicine allows a patient to visit a physician “in real time” through video conferencing or other electronic means for immediate medical assessment, recommendation and treatment. What happens when a physician in one state evaluates and treats a patient located in another state through electronic communication? The doctor arguably “crossed state lines” and practiced medicine in both jurisdictions. As a result, the physician is subject to medical board requirements and statutory obligations regarding the practice of medicine of both states. One year ago this month, the Federation of State Medical Boards (FSMB) offered the proposed Interstate Medical Licensure Compact for review and comment. In September 2014, the FSMB presented its final version of the compact to promote expedited multistate licensure for independent state adoption and Congressional approval. The American Medical Association formally endorsed the interstate compact at its Interim Meeting on November 10, 2014. More recently, on April 23, 2015, the New England Journal of Medicine similarly recommended the proposed compact for multistate acceptance. Seven states must ratify and approve the Interstate Medical Licensure Compact to become effective. Five states – Idaho, South Dakota, Utah, West Virginia and Wyoming – have formally adopted the compact. As passage is currently pending in 11 other states, at least two will undoubtedly approve the compact and thereby render it effective for all states in which it was adopted. Notably, the legislatures of Washington and Oregon are not formally considering the interstate compact at this time. Laws and regulations may differ radically from one state to another. Human physiology and anatomy, however, does not alter in any significant manner whether a person is in Oregon or Oklahoma, Washington or West Virginia. Medical assessments and treatment recommendations arguably should not depend upon where the evaluation occurs. A crucial question that must be answered prior to full implementation is whether telemedicine offers adequate means of clinical examination and diagnostic testing for reliable and efficacious medical assessments. Injured workers of the states of Washington and Oregon travel, relocate, possibly work and receive medical care in other states. Should Washington and Oregon physicians be allowed to use telemedicine technology to assess and treat injured workers located in other jurisdictions? The answer should depend, in great part, upon how the question regarding examination and diagnostic testing reliability is answered. Regardless of the ultimate determination, the two host states of the world’s technological revolution should be leading the dialog rather than remaining mute. Article I, Section 10 of the United States Constitution provides that “no state shall enter into an agreement or compact with another state” without the consent of Congress. Accordingly, the United States Congress in additional to individual states must approve the Interstate Medical Licensure Compact. The Washington state Department of Labor and Industries answered the question, in part, and allows limited telemedicine but does not expressly address interstate evaluations. See, Payment Policies for Healthcare Services Provided to Injured Workers and Crime Victims, Chapter 10: Evaluation and Management (E/M) Services, effective July 1, 2013.